in a protective environment like greenhouses with additional irrigation but also in the open field, where resource-sensitive use of water is necessary. The combination of thermal and short-wave infrared imagery for remote sensing of the transpiration and the absorption/reflexion from plants has great potential as a tool for indicating irrigation need as well as for improved crop management. 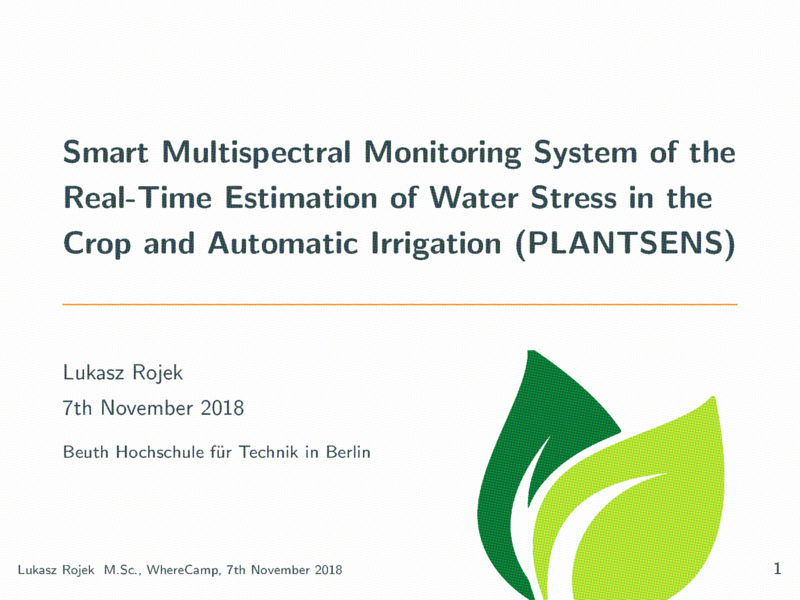 This potential is being used within the framework of the PLANTSENS project for developing multisensor monitoring system for automatic irrigation based on the real-time processing and analysing of the multispectral images and precise georeferencing.